The Griffins Art Festival is back for its fourth year and what a line-up of activities, events and workshops we have planned for all pupils across the trust! 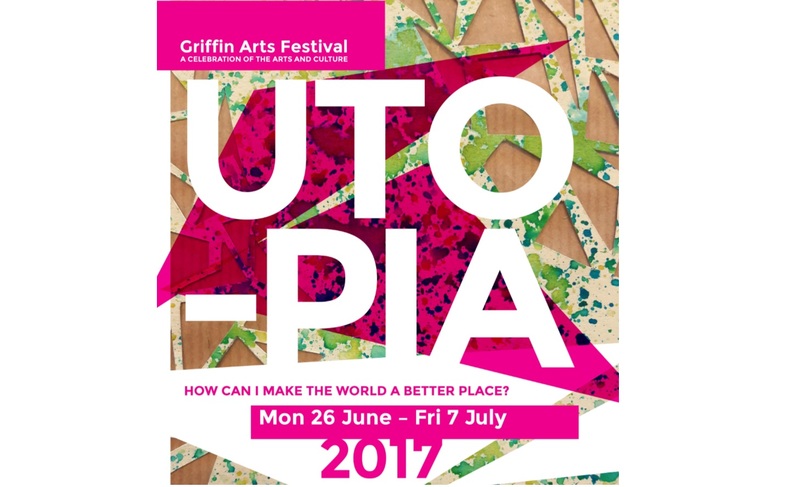 The Griffin Arts Festival was set up in 2014 by our Trust founders in recognition of their commitment to the arts and culture. Today that message remains and we stand firm in our commitment to bring great art and access to high culture to the thousands of young people, staff and families, we serve. The GST theme for this year is ‘Utopia: how can I make the world a better place?’ which took inspiration from Thomas More’s thought-provoking book ‘Utopia’ published in 1516. It compared social and economic conditions in Europe with those of an ideal society on an imaginary island located off the coast of the Americas. Although the book was published 500 years ago, there are still strong parallels to today’s society, and our aim this year was to get the children to provide us with their ideas of a perfect world.
. Provide all children with high quality arts experiences across a range of forms to encourage high achievement.
. Offer students the opportunity to stay in London and widen their horizons through experiencing some of the capital’s best arts and culture.
. Embed a proud tradition of cultural entitlement for every student and ensure they have the right to a creative education. For this year also, we encouraged our students from different schools to come together, collaborate and create work based on the festival theme, Utopia. We are proud to present The Cotton Mill, A Children’s Opera. This is due to showcase Friday 7th July in Leyton so don’t miss out on this amazing performance!